Autumn, a season of festivals, is going on here in Nepal and we'll be getting to see a lot of flowers of various kinds blooming all around in this season. The flowers and festivals both share religious importance in common and one of the most popular flower in the festivals, especially Tihar, is marigold. It is used to make garlands, which is put around the neck of a brother by his sister as a part of ritual. 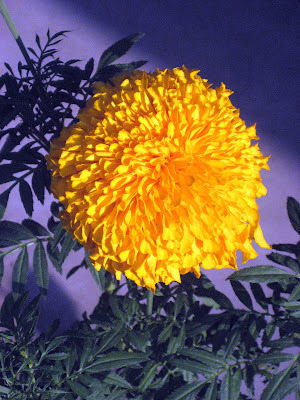 This is the top view of marigold flower in full bloom. This is the side view of the marigold flower. A few young buds are also captured. This photograph is a bit dramatized by giving a purple background through Photoshop. This marigold is a bit different from above ones in both color and type. 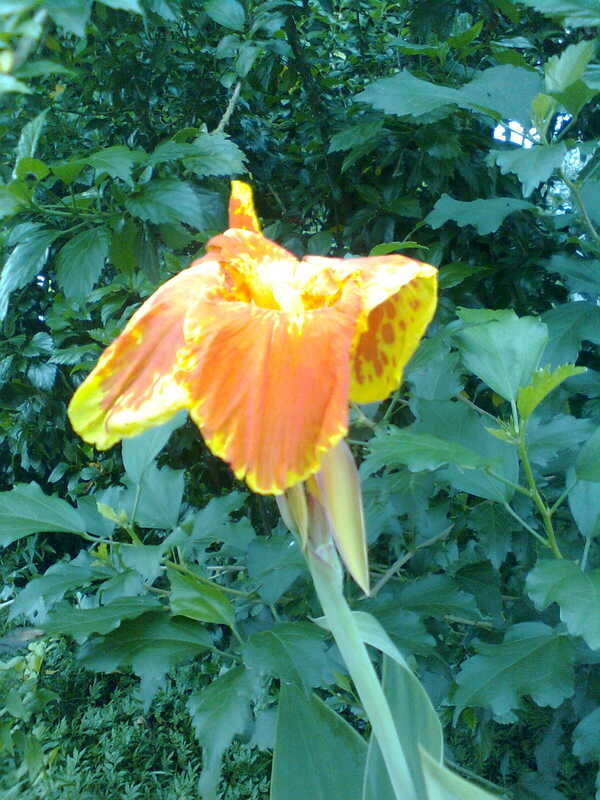 This one is a different flower and I don't know its name. Please give your feedback on these images and I'll try to work according to your suggestion in my coming photography adventures (actually not adventures).